Basketball recruiting is very different from football recruiting. For example, football has only one signing day; it’s always on the first Wednesday of February. Basketball has two signing periods. There is the early signing period, which was November 9th through the 16th. Then the normal signing period, according to nationalletter.org, for Division I ball runs from April 12th to May 17th this year. 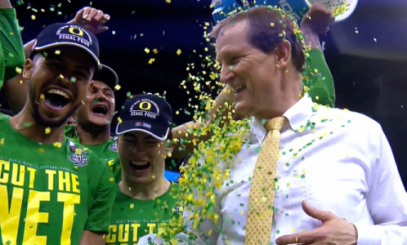 Coach Altman is bringing Oregon back to relevance. The current Oregon Ducks basketball team just finished playing. Making it to the Final Four for the first time since 1939 has made a serious positive impact on the future of coach Dana Altman’s team from here on out. Oregon did not have an easy road to get to where it did in the NCAA Basketball Tournament. 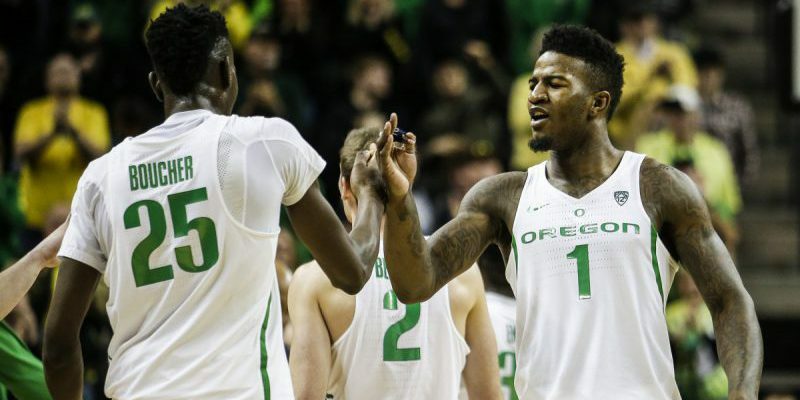 The Ducks played as the underdog in every game, even as a 3-seed playing a 14-seed. Oregon was the regular season conference champion in the Pac-12 for the second year straight. This was the fifth appearance in the NCAA Tournament and second in a row reaching the Elite Eight. The current roster could potentially keep all players except the two seniors (guard Charlie Noebel and forward Chris Boucher) and graduate transfer Dylan Ennis. Of course, there is always that chance that underclassmen may opt for the NBA after such a successful season. A few early draftees may include junior forward Jordan Bell, sophomore guard Tyler Dorsey and junior forward Dillon Brooks. If those three players decide to stick around, recruiting will be that much easier for Altman, and the 2017-18 season and will be a lock for a pre-season top-10 ranking. Unlikely as that would be, Oregon has three committed recruits now who may feel pretty smart about choosing Oregon after the huge success of this season. Oregon has a good one in Victor Bailey. Currently the Ducks have a shooting guard from Texas committed. Four-star Victor (V.J.) Bailey can step in for Noebel and add two inches of height to demonstrate his American Family Insurance High School Slam Dunk Contest winning athleticism. Also, there are two strong forwards waiting to get their turn at the next level with Oregon. One is 4-star Abu Kigab from California. 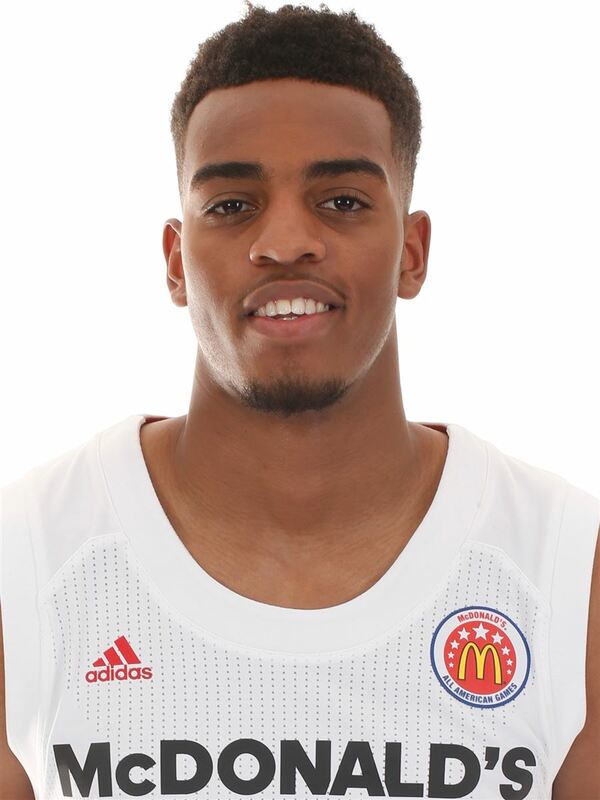 The other is 5-star Troy Brown from Nevada, who just played in the McDonald’s all-American game. Brown can really move the ball well for a forward and can shoot from anywhere. He could be an immediate impact player from day one. Reaching the Final Four is just a springboard to attract elite talent nationwide.There is plenty of interest in Oregon from several top-100 players according to scout.com. One is a shooting guard and ranked overall at No. 100: Devante Doutrive from California. He doesn’t even have an offer from Altman yet. Another strong forward who has Oregon in his top-4 list is Georgia native Jordan Tucker, ranked at No. 78. The 44th-ranked player in the nation, Daejon Davis, recently lost the coach he previously committed to at Washington and de-committed, putting the Ducks in his top-5 places to take his guard skills next. 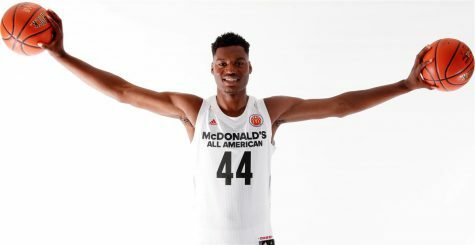 Finally, a 7-foot center from California, Brandon McCoy, is a 5-star with a top-5 list which includes Oregon. McCoy is the No. 8 overall prospect in the nation. 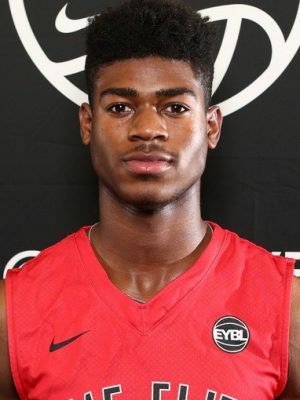 As deep as Oregon went into the tournament, this list of potential prospects at these levels of talent may just be the beginning. Winning helps. Beating teams such as Arizona and UCLA, a huge win over Kansas and hanging with North Carolina to almost complete the comeback, but then losing by only one point to the national champs all bring serious attention to where Oregon can expect to stay for an extended period of time. Brandon McCoy would make a great addition to the improving Ducks. The 2018 class is already shaping up for serious interest in the Ducks. The site rivals.com has four 5-star power forwards in the top-17 nationally that like hearing from Altman. The No. 1 guy is Marvin Bagley III, from California. The 6-foot-10 baller has a top-6 list and Oregon is the only Final Four team on it. The same goes for Jordan Brown’s top-9 list, with Oregon the only Final Four team on it. Brown is the No. 4 national prospect. If winning is everything, then these two forwards will look great in green in a couple years. With basketball players able to go pro so early, it is no wonder that Altman has found success in the JUCO and graduate transfer recruiting ring. He’s getting experienced players of a higher skill level and expecting to get only one or two years from them. It’s a pretty smart philosophy. Recruiting can be complicated, but in reality, it’s pretty simple. Kids want to play for great coaches who can develop them into future NBA-draft-caliber prospects. Who are these top coaches in the nation? And where do they coach? 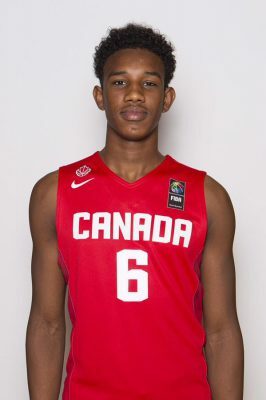 Abu Kigab, another Canadian connection, is headed to Eugene. Steven Ruiz of USA Today Sports wrote an article back in November stating his top coaches and why. Ruiz listed Altman at No. 17, putting Oregon above programs such as Indiana, Michigan, Xavier, Maryland, Miami, UCLA and Georgetown. After this year’s tournament, Altman may have been bumped up a spot or two. Keeping Altman is key for Oregon to continue their success on the court and to keep top talent coming to Eugene. Altman is a coach who develops talent quickly, much like Kentucky’s John Calipari. Calipari has to develop them quickly because his players stick around for only one or maybe two years before going pro. Some of that talent in the next couple of recruiting cycles may be local. A 2018 top-50 player from Portland is 4-star power forward Kamaka Hepa, who will most likely stay close to home. Seattle is another area Oregon recruits well, especially now with Lorenzo Romar leaving the Huskies. Three top-100 4-star players may look southward: power forward Jontay Porter, shooting guard Kevin Porter and power forward J’Raan Brooks. Troy Brown is the gem of the Ducks’ 2017 class. Plus, peeking into 2019 a bit, two more Seattle area prospects have emerged as future stars with point guard Noah Williams and shooting guard P.J. Fuller. Also, Marcus Tsohonis is a Portland-area shooting guard close by for Altman to pick up in 2019. You can guarantee these players are looking hard right at the Ducks. The whole nation is looking hard at the Ducks right now. This great season and stellar play in the tournament has shined a bright spotlight on Eugene’s red carpet. Oregon is keeping company with Kentucky, Duke, Kansas, UCLA, Oklahoma, Arizona, Louisville, Michigan State, North Carolina, Syracuse, Villanova and others as elite competition with consistently elite recruiting. Congratulations to the men’s basketball team on a super season and super tournament play. Duck fans thank you!